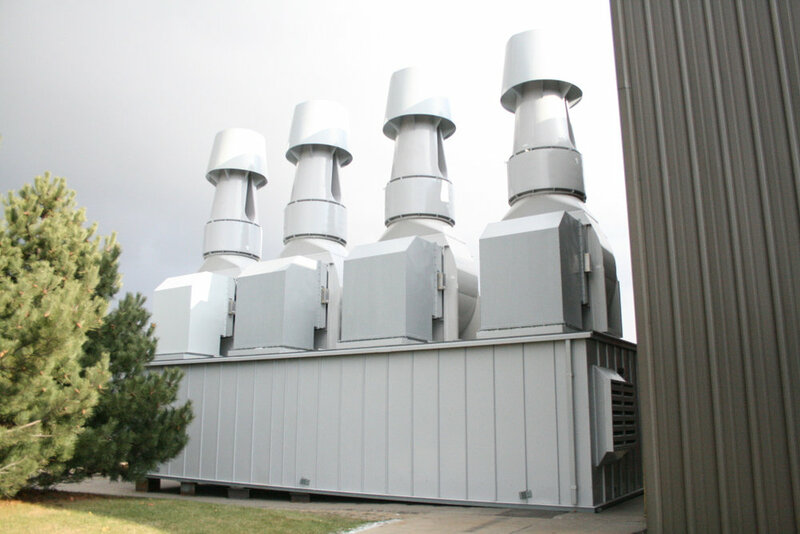 Custom 100,000 CFM Odor Abatement Exhaust System These Systems Can Be Designed and Constructed to Include Energy Recovery Devices and Filtration Systems of Any Media or Efficiency. High plume dilution fans were made popular in the 1990's. These systems were used to replace unsightly stack systems which were used to ensure that harmful chemicals would re-enter the facility or neighboring facilities. They are most commonly used in laboratory situations where polluted air has the potential to make people sick at relatively low concentrations (some chemicals have safety thresh holds measured in parts per billion). These fan systems dilute the air via bypass dampers and also through a Venturi like entrainment of air through the wind band (see below). When air leaves the nozzle it is generally traveling at 3,000-6,000 feet per minute. The cumulative diluted airstream has the mass and momentum to propel it high above neighboring buildings and away from prying noses. These systems are also very popular in municipal waste water treatment facilities. There is no substitute to these fans when odor complaints are a concern at your facility. 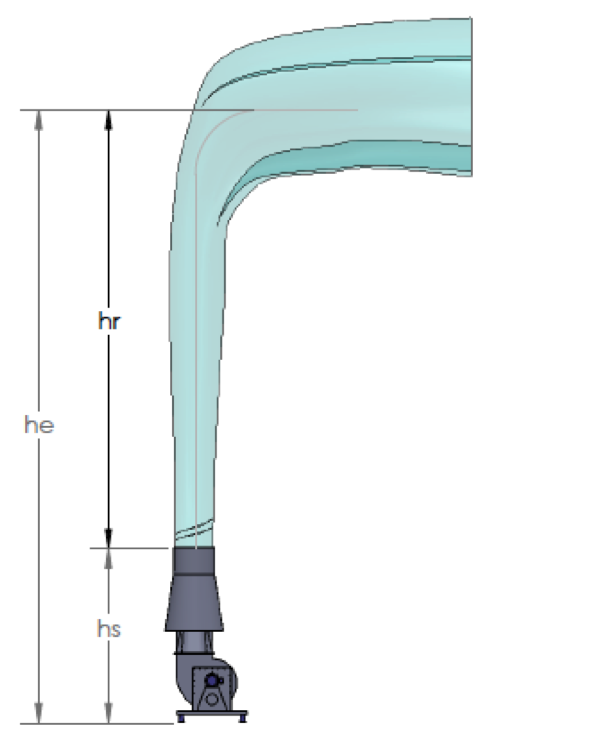 Air From Stream "A" is Propelled through a Jet Nozzle and Induces Air Via a Venturi Effect from Stream "B" Thereby Diluting the Odor Rich Air and Adding Mass and Momentum to Propel the Cumulative Air Stream "C" High Above the Building.